Jazz musicians and fans have been sending out their thoughts and prayers via Facebook and Twitter following the news that pianist Mulgrew Miller suffered a serious stroke yesterday. Details are somewhat limited but it is reported that Miller is currently in intensive care. Miller, who has been called a protege of Oscar Peterson, suffered a stroke back in 2011 and made a full recovery. Musicians such as Terence Blanchard, Geoff Keezer, and Charlie Haden have been sending out well-wishes on Twitter. Yeah, thanx for getting this out. Wasn’t even aware of the first one, so this is double the saddening news. The wisdom within us all should focus generous doses of healingvibe upon him to assist in his recovery. My heart is so heavy & sad right now, cant stop the tears from flowin. I grew up with Mulgrew, Im still neighbors with his family. Get well soon Mulgrew. The neighborhood is prayin for you!!! Deborah & Easlawn Dr., Miller Ave.!!! I’m so sorry about the loss of Mulgrew. He and his family were our friends and neighbors in Greenwood, MS, many years ago. I recall him as a small boy playing for services at Decell Methodist Church. His outstanding musical talent was evident then. The Miller family will be in my prayers. 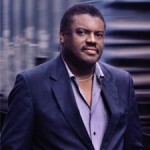 Mulgrew Miller was a tribute to the music world, his church and community. I met him at age 15 when he was a musician with a local high school orchestra. When he graduated from high school I helped him get a scholarship to Memphis State (now University of Memphis) From that beginning he soared in the music world which could appreciate his ability. He never forgot his community and performed at a fund raiser for the local Confederate Memorial Building. May we all remember this Gentle Giant from Greenwood. His family has my prayers for this loss. Mulgrew Miller was my next door neighbor while growing up in Greenwood, Ms his family was my family this is a sad day for the neighborhood Miller St and EastlawnDrive. My prayers and heart is with his family I love them dearly. With deep sadness…the 2nd one proved to be too much to bare. Mulgrew moved on to the afterlife yesterday. May his soul rest in peace and continue to rock the shop in heaven. Most thankful for his contribution, I will continue to honor his bright light as though he were still with us. I’m impressed! You’ve managed the almost imeolsibsp. I appreciate Mulgrew for being a kind Mentor to my son, Jaz Sawyer, I was fortunate to meet Mulgrew and his Music touched so many, My sincere sympathy to the family. May Mulgrew rest in Peace. I had the pleasure of performing with Mulgrew Miller at Delta State University. I will always remember and cherish his wonderful spirit. Mulgrew was wrapped in God’s grace and I will keep his family in my prayers. He has been summoned to heaven to play for the angels. I will be back to read a lot more, Please do keep up the excellent job. I just wanted to jot down a quick note in order to thank you for all of the spedlnid pointers you are giving out at this site. My time consuming internet lookup has at the end been compensated with reasonable facts to write about with my neighbours. I d point out that many of us website visitors actually are undoubtedly endowed to live in a perfect community with many special individuals with very beneficial concepts. I feel very privileged to have used the webpages and look forward to some more thrilling moments reading here. Thank you again for a lot of things.